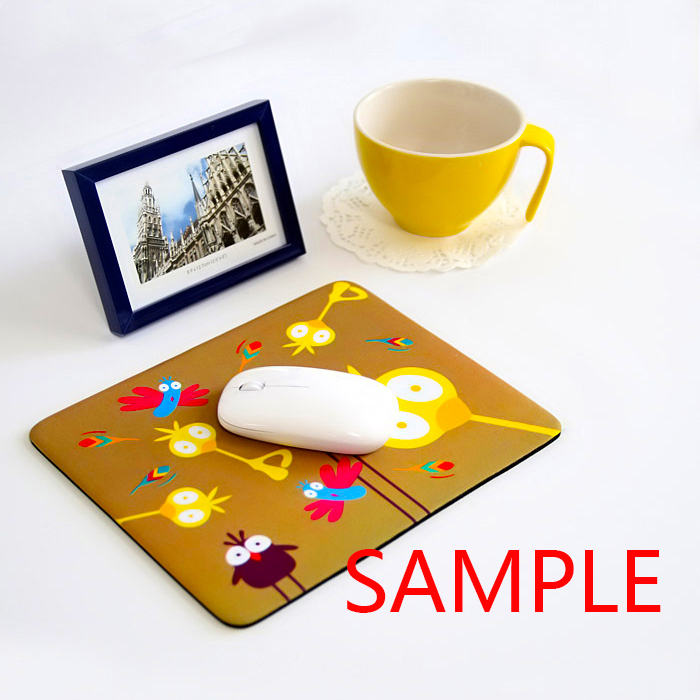 Gaming Mousepad,Office Mousepad,Cloth cover top & rubber base, 9.84"(L) x 7.87"(W), One-Side PrintingDecorate your desk at home and office with a customized mousepad.The durable cloth cover is dust and stain resistant. • Cloth cover top & rubber base. • Rough surface, ideal for mouse to move.